I found this beautiful sheer and opaque striped maxi dress on the weekend (at Sirens) and like all maxis, it was too short for me. 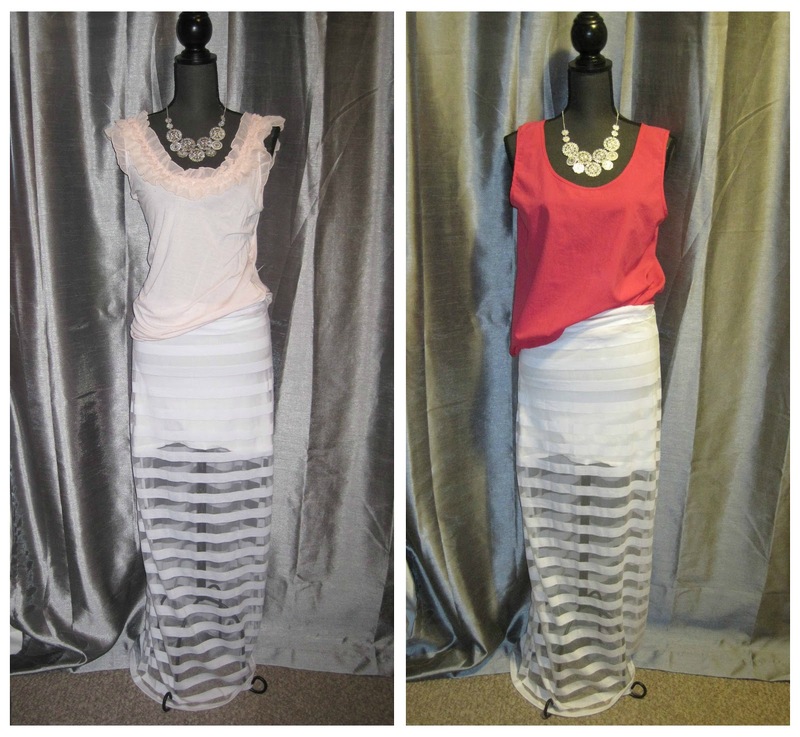 I couldn't pass up the eye-catching fabric though and decided to purchase it for $19 and re-fashion it into a maxi skirt. 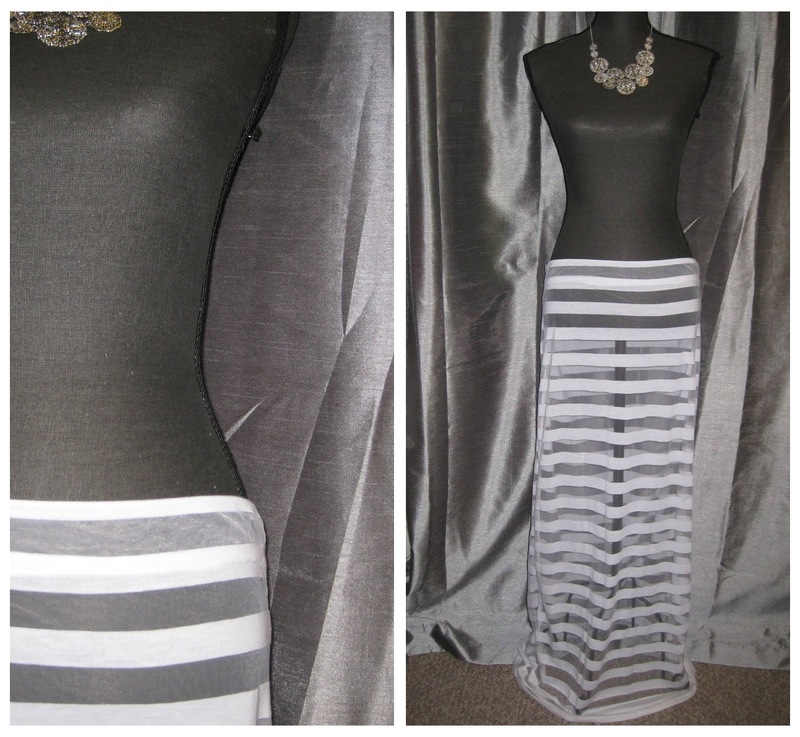 It turned out beautifully and I can't wait to wear this on vacation and come summer! 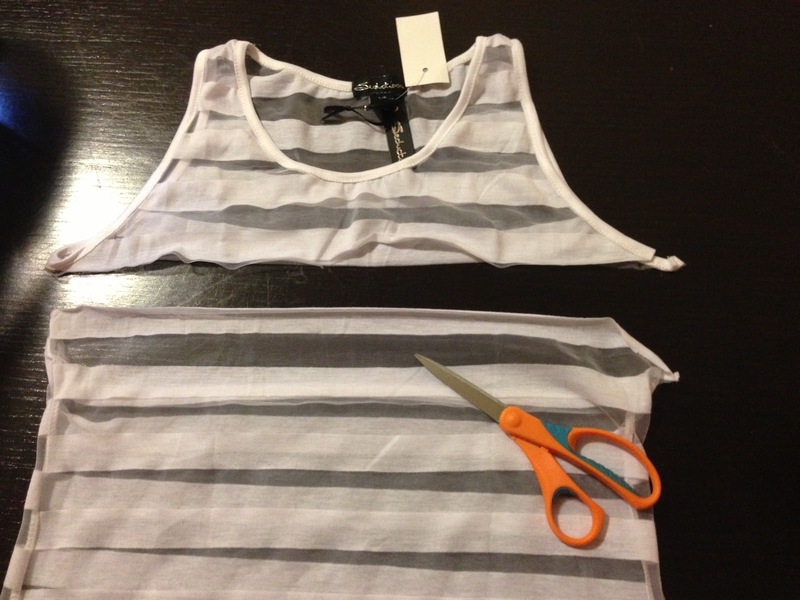 Taking the maxi and a sharp pair of scissors, I cut just below the underarms straight across. Then I folded the waist band over and pinned it. 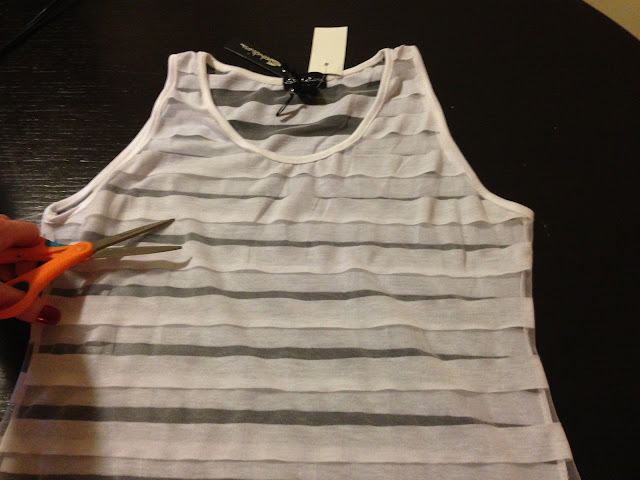 I made sure to line up the opaque stripes with my fold so the stitching would be as hidden as possible. 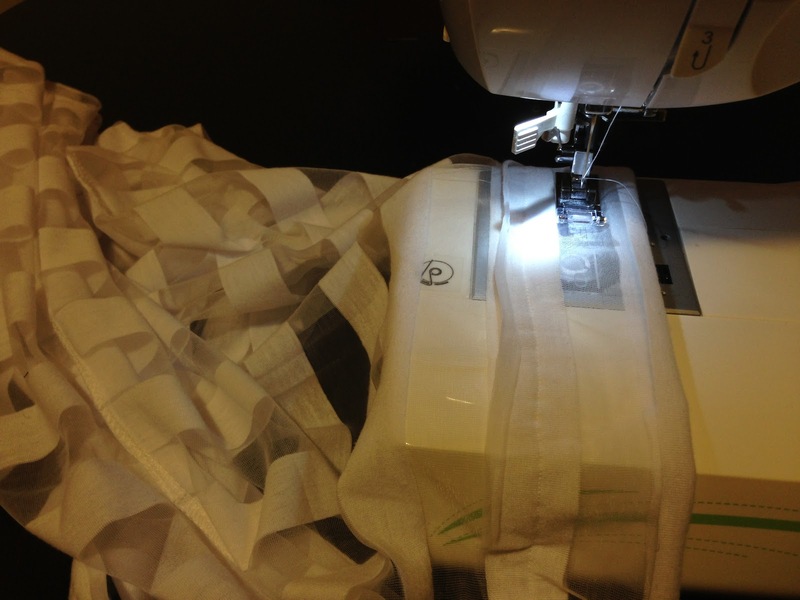 ***Important tip: as you are sewing your waistband, be sure to pull the fabric towards you to stretch it, this will ensure your thread will give/stretch when you pull the skirt on. If you just sew regularily, the stitch could rip if you're stretching the seam in an attempt to get the skirt on. What to wear under the skirt? This dress came with a slip which I have originally planned to cut into a short skirt for underneath but have decided to leave it as a slip just in case I ever need in. In lieu, I have a tube top I made for under a dress I have that's pretty see-through. Basically, I took a tank top, cut it under the underarms and it's a tube skirt. I never finished the edge on it as it's jersey so it just rolls a little bit. Additionally, I only use it as a sort-of undergarmet, so no one sees the edge. @Andrea: YES! More on that tomorrow! 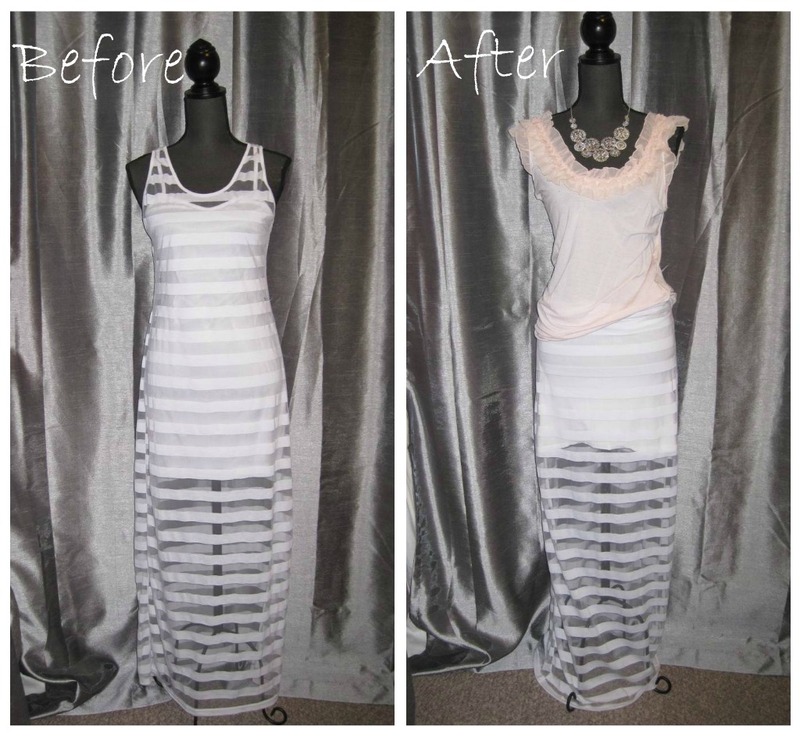 Good blog, I like it, Maxi Dresses to make a woman look casual, charming.